BALTIMORE (CNS) — The role of Catholic bishops is to accompany their family of the church through their fears and concerns, the president of the U.S. Conference of Catholic Bishops said Nov. 10. 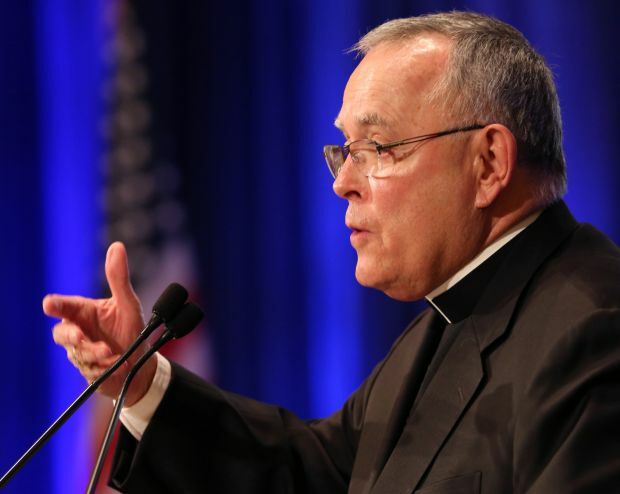 “Together, brothers, we seek to walk with these families and to build their confidence in faith,” said the archbishop, who heads the Archdiocese of Louisville, Kentucky. The bishops also heard a preliminary presentation on five liturgical items up for consideration and to be voted on Nov. 11. The items include a revised translation of the ritual book used whenever a new church is built or when a new altar is made; the first official English translation of the ritual book “Exorcisms and Related Supplications”; and a supplement to the Liturgy of the Hours of an English translation of the prayers used for the feast days of saints who have been added to the general calendar since 1984. 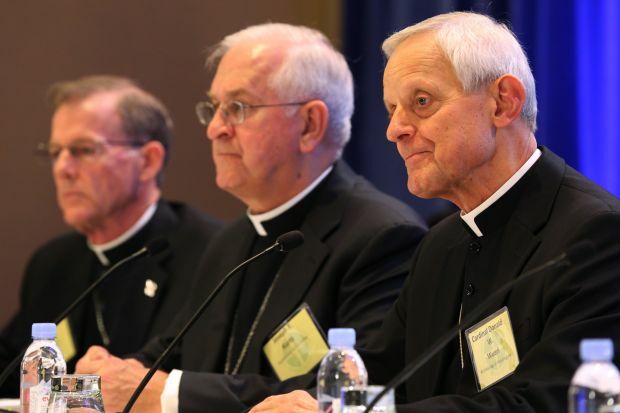 On the second day of the assembly — the only other full day of public sessions — the bishops were to choose a new secretary-elect for the USCCB, and vote for the chairmen-elect of five committees — communications, cultural diversity, doctrine, national collections and pro-life activities. They also were to choose new members for the board of the Catholic Legal Immigration Network and Catholic Relief Services. Other action items to be addressed Nov. 11 included the 2015 USCCB budget, the 2016 diocesan assessment, and a proposal to proceed on a revision to the “Ethical and Religious Directives for Catholic Health Care Services.” The bishops also were to conduct the canonical consultation on the sainthood cause of Father Paul Wattson. Father Wattson was an Episcopal priest who co-founded the Society of the Atonement. In his report earlier in the afternoon, Archbishop William E. Lori of Baltimore, chairman of the Ad Hoc Committee for Religious Liberty, told the bishops that this committee — extended for another three years — would place more of an emphasis on teaching and expanding networks with Catholic lay groups, interfaith and ecumenical partners. Archbishop Salvatore J. Cordileone of San Francisco, chairman of the Subcommittee for the Promotion and Defense of Marriage, spoke of the challenges facing the Catholic Church’s support for traditional marriage. Up to 15,000 attendees are expected for the gathering of families from around the country and the world Sept. 22-25, 2015. With the slate of speakers and activities planned for adults and youth, it will be the largest convention to be held in Philadelphia next year. Registration and other information is available at the website www.worldmeeting2015.org. In a morning session and at a news conference that followed, some time was spent reporting on the recently concluded extraordinary Synod of Bishops on the family in October. Speaking to reporters, Archbishop Kurtz of Louisville acknowledged the differences in the synod experienced by the bishops participating in it and news accounts disseminated outside the synod, saying “a tale of two synods” emerged from it. Those differences were highlighted by Cardinal Timothy M. Dolan of New York in remarks delivered during the assembly’s morning session.